Give back to the community, achieve that work- life balance, and get ahead with Bewise. Whether you have time to give, or time to earn – it’s all about making the most of the experience. People are changing the definitions of ageing and are choosing different paths in life. Sara Lawrence-Lightfoot, identifies what she calls a “new stage of life”-the period between middle age and old age which many of us experience as a time of reawakening and reinvention. She goes on to distill lessons from the many people she interviewed for her latest book, The Third Chapter: Passion, Risk, and Adventure in the 25 Years after 50. What do you make of Sara’s comments? If you have a comment and would like to share we would really like to hear from you. Working in retirement is good for your health. 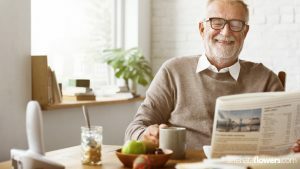 Before you start packing up your desk, take into account recent research that indicates that retirees who continue to work in either a part-time or full-time capacity actually have an excellent quality of life with better physical and mental health than their non-working counterparts. Make the change to flexible work.Take down the barriers that prevent the change to more meaningful work. Whether it’s more flexible hours, trying something completely new, or giving back to the community with volunteer work- here’s a plan of attack to help you on your path to happiness and fulfillment. Make the change today click here to read more about achieving a flexible work life. Make your work -life balance a reality. Can you really mix business and pleasure? We’ve been taught that the two are clearly opposites, that there is a distinct line drawn between them. So, is it really possible to achieve a work/life balance? What is a work/life balance anyway?Read more to make a work/life balance a reality. Achieve a work- life balance with a tree change. Reduce the financial stress with a tree change. Tired of the same daily grind? Want a better work-life balance? Don’t underestimate the potential work opportunities that regional towns across Australia offer baby boomers. Do some research, take the time to plan and read how you can make the most out of the move away from the big smoke. Read more and find out how to achieve a work-life balance. Volunteer work- questions to ask before you start. Now is the perfect opportunity to give back to the community one of the most valuable things you can offer- your time. Volunteer work is rewarding, meaningful and helps those who need it the most. You may want to do it to “give back” or it may be a path to a new career. But, like any other job, you must ask the right questions and do your research before you start. 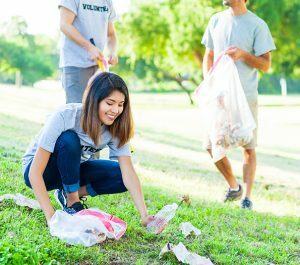 Read more to get started in finding the right volunteer work role. 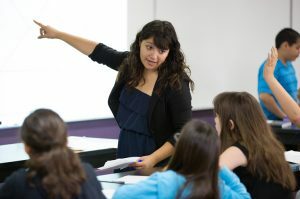 Teachers can keep the dream alive and stay on the road longer in 2010. Before packing the van and checking the road map, retired teachers choosing the grey nomad path are keeping the dream alive longer through The Grey Nomads Teacher Recruitment Program. Take the steps to a job that matters. Take the steps to get a job that matters. Making the move into work that matters may require some critical thinking. This means investing time into the process and genuinely considering the issues and people involved. Here are some simple steps that you can take to help make an informed decision. Take the critical thinking steps to a job that matters today.